3.6m High Braided 3.5mm Cricket netting, with net protection vermin skirt which is designed to help prevent damage to the bottom of the netting. The 500mm high skirt is stitched to netting and made from black mesh with an 18mm bottom rope. Brass eyelets at both ends. 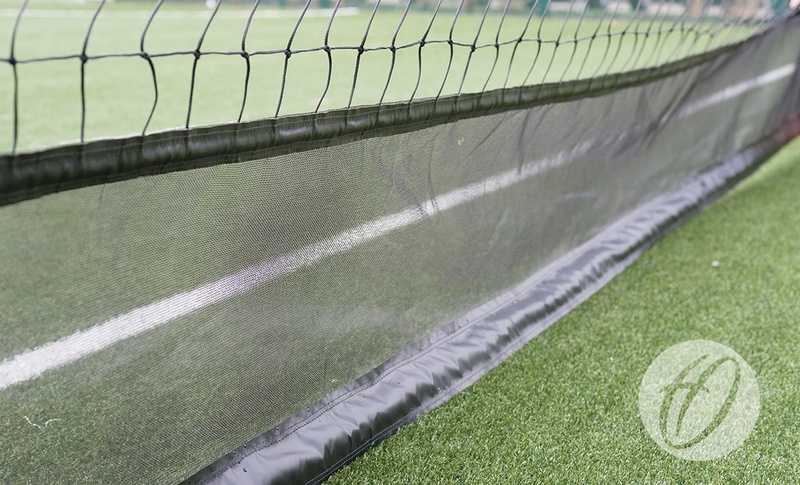 3.5mm thick heavy duty black braided polypropylene netting with selvedged edges.